not much has changed here. i was running a purple theme, but it wasnt playing nicely with my font pack. 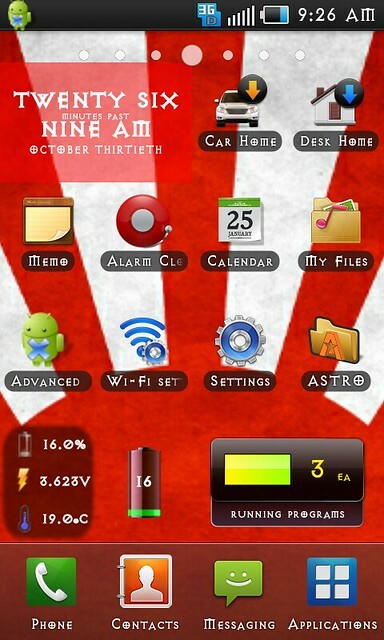 whats your battery life like with those widgets updating on homescreen? i dont notice any difference than before. the app on the left is called bat stat free. it doesnt do anything except diplay those 3 stats. it doesnt take any usage according to the battery usage stats. the app on the right is called battery tools. if you tap it it goes to more info like usage stats and up times. sometimes it shows as using 2 percent of total usage, sometimes it doesnt show up either..
its not set to kill anything. i have the default set to switch to that app when pressed. 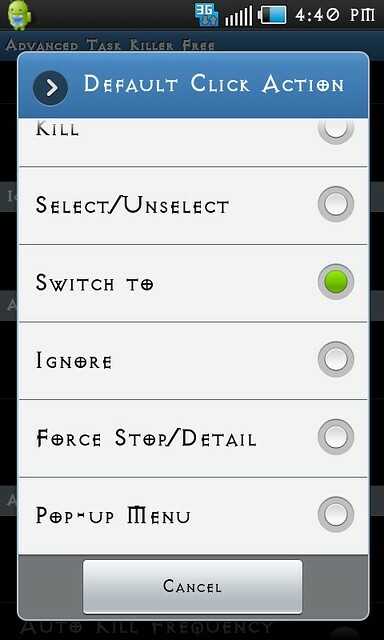 i use it kinda like the drop down task manager on the touch pro 2 (jds task manager) ya know what i mean? Last edited by austin420; 10-30-2010 at 05:42 PM. dont see the sense really when you can kill apps in "running applications" i just like "auto start killer" what kinda battery life do you get? I can't hang with some of you. I just like to keep it simple, yet sophisticated. home.jpg (6.8 KB, 34 views) Click for barcode! Well....there are some great screen shots and information in this thread. What exactly are you looking to do? Simple cosmetic changes? Roms? Rooting? Hit us up with what you're wanting.